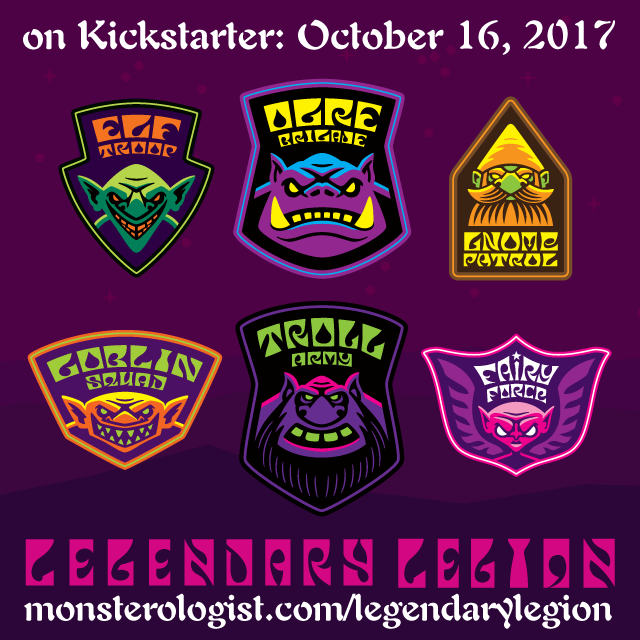 The campaign launches on October 16, 2017 on Kickstarter, and runs for two weeks. Sign up for my email newsletter and get a secret code for a free bonus reward item for pledging on launch day! 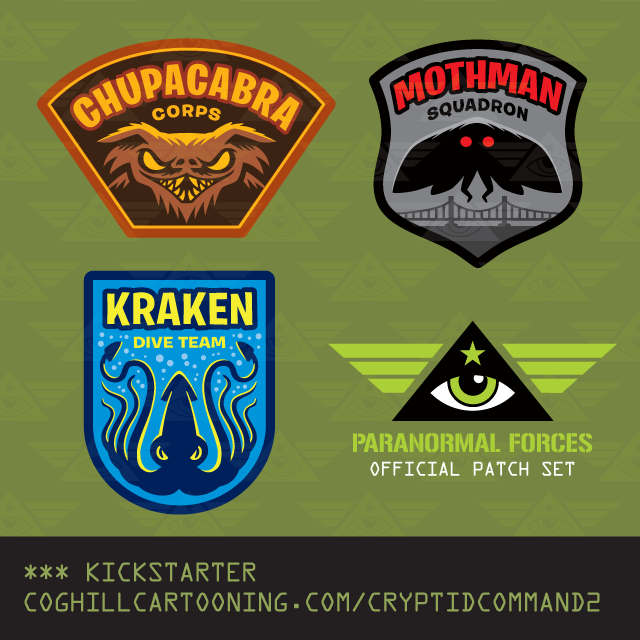 My new embroidered patch set, Cryptid Command 2 featuring Mothman, Chupacabra and Kraken patches with a military-inspired look, is now live on Kickstarter. 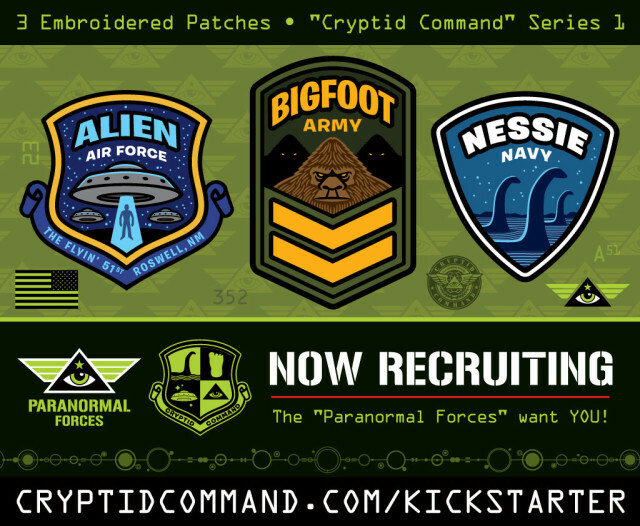 This patch set and Kickstarter campaign continues the original Cryptid Command patch set (featuring Bigfoot, Nessie and UFOs) theme. Cryptid Command 2 again features a patch trio based on the Army/Navy/Air Force land/sea/air — this time with cryptozoological creatures the Chupacabra, the Kraken and the Mothman! 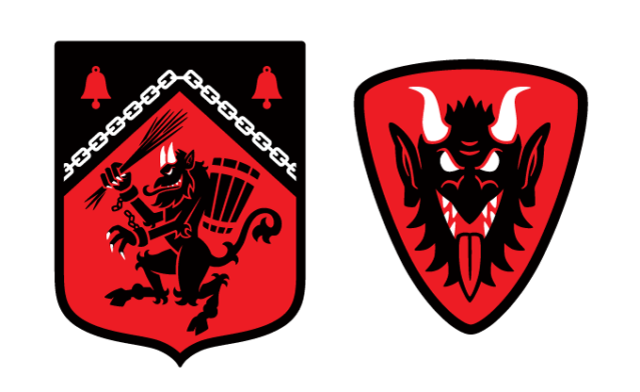 I’ve also got designs ready to be revealed for more cryptid patches to be unlocked as stretch goals as the campaign exceeds the core funding. 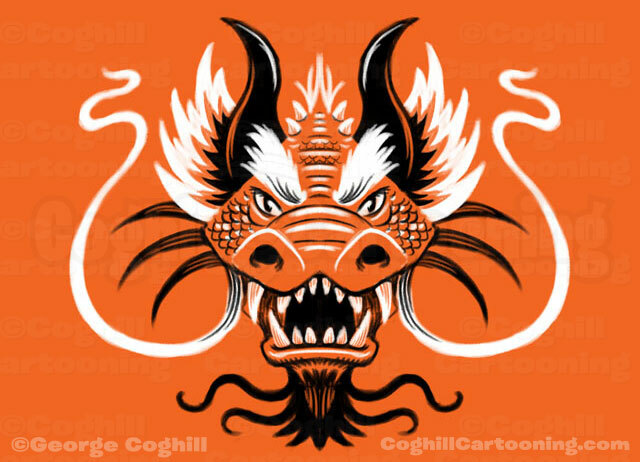 I’ve been working on these limited-palette dragon head drawings off and on over the past few weeks. I’ve got a small series of them, all ready for finalizing and these need to be released as prints and t-shirts for sure. 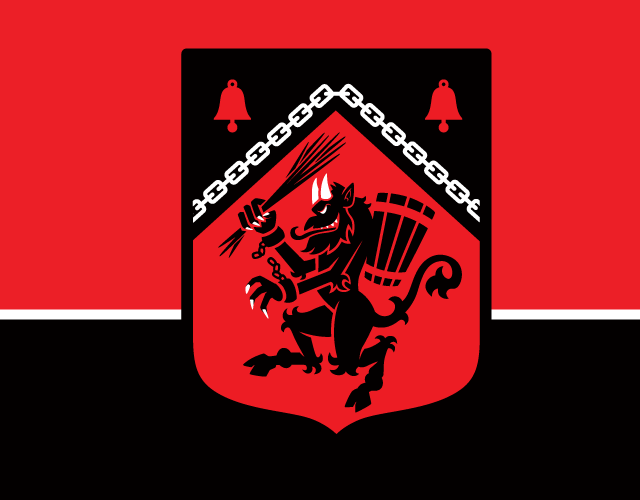 A few people have suggested perhaps even embroidered patches. Stay tuned for more of the drawings in the series. Another fun monster head limited palette drawing. 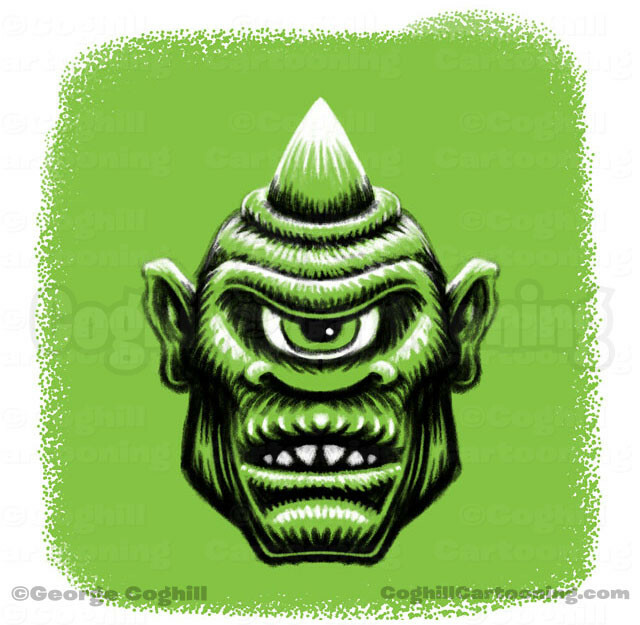 This cyclops head will definitely be making it’s way to some merchandise in the near future. “Cryptid Command” Embroidered Patch Set: Shipped! 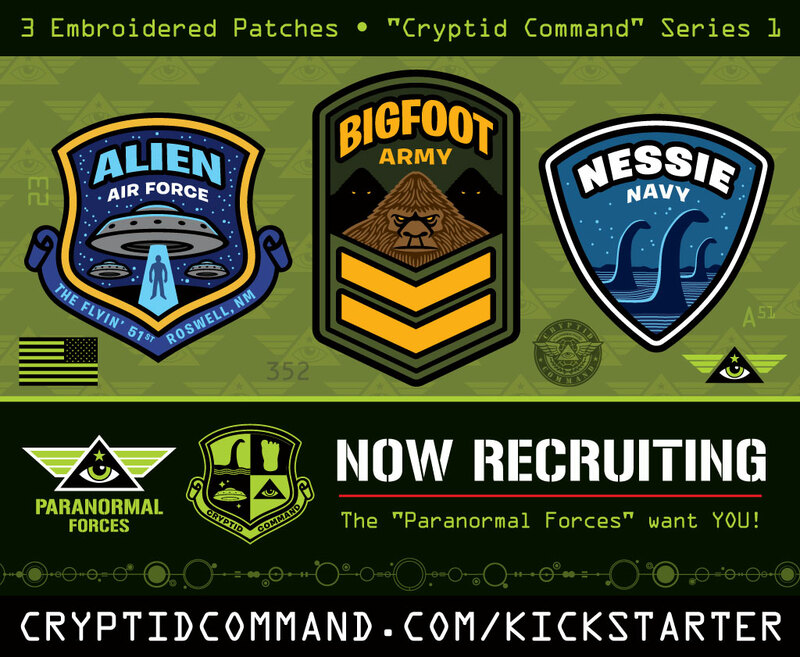 “Cryptid Command“, my latest embroidered patch set is now live on Kickstarter until October 31, 2015. 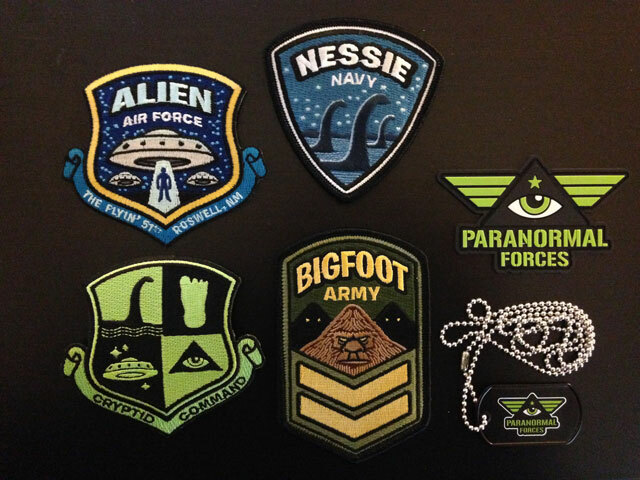 The patches feature Bigfoot, the Loch Ness Monster and Aliens/UFOs all with a fun military-themed look. The main funding goal was reached in under 6 hours on launch day, and the campaign has since unlocked the first of many stretch goals, which include additional patches, stickers, magnets, PVC emblems and more. Campaign pledges are funneled back into the campaign reward merchandise to offer backers more and more merchandise the higher the campaign funding gets. Pledge now and help unlock more stretch goals and get more free items with your reward!